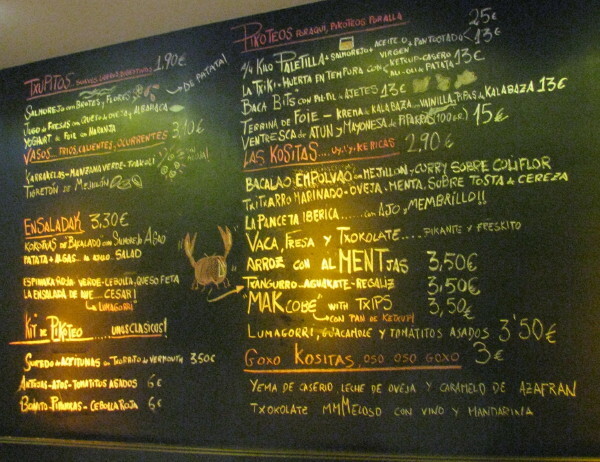 Various people had told us the food wasn’t good in Spain. Even the Spanish food writer and historian Clara Maria Amezua, who we’d first met at a conference in Greece in May, lamented the decline of Spain’s gastronomy. She attributes this to Fernando and Isabella’s (los Reyes Catolicos) expulsion of the Moors and Jews at the end of the 15th century. With them went many sophisiticated and richly flavoured north African and Sephardic dishes. 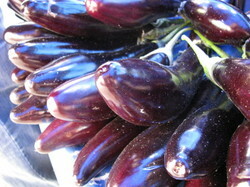 But, as we found, traces of their culinary traditions are still to be found. 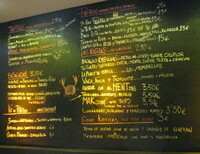 With all that Galician octopus and turnip tops inside you, you need a good digestif to finish the meal. And Galicia has one of the best you can find – queimada – a sweet and firey conconction which you brew at the table in a special three-legged earthenware bowl, huddled like witches round a cauldron. They’re hot, crispy on the outside, gooey on the inside and small enough to pop in the mouth again and again. 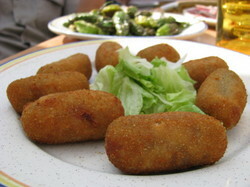 Who doesn’t like croquetas!? Soon realising croquetas were going to be our favourite Spanish snack – perfect any time of day with a nice glass of beer or table wine – we set about seeking out the best versions everywhere we went. Culinary research can be tough. It would be a gross misrepresentation to suggest that Turkish food is all about kebabs. It really isn’t. Sure, they’re famous – ask the average man in the UK street to name a Turkish dish, and he’ll probably tell you about döner kebabs. (Fair enough – nothing else tastes quite so good when all the pubs have shut.) But as we’ve discovered, Turkish cuisine is really all about everything but kebabs – the finely spiced Ottoman rice dishes, the seafood of the north, the spices and sweets of the south-east, the olive-oil-braised vegetables and wild herbs of the Aegean. Don’t get me started. 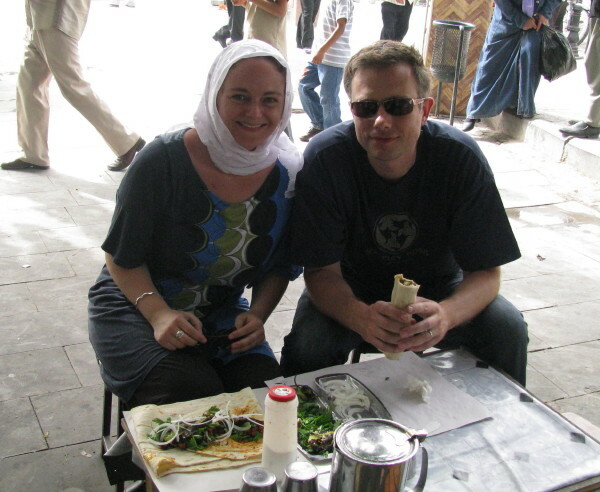 But having said that, there’s a lot of kebabs in Turkey. And sooner or later, you’re going to end up eating one. And there’s a lot more variation – and flavour – in the kebab world than you might think. Some of them, in fact, are downright delicious. So to help you find the best and avoid the less desirable, here’s our all-time top most tasty kebab list. It’s ridiculous to try to sum up Turkish cuisine in 10 flavours. Turkish cuisine is hugely rich and infinitely varied, not least because a) Turkey’s absolutely enormous – have you looked at a map recently? – comprising three different coastlines, high snowy mountains, very hot, dry plains and lush wooded hillsides, among other things, and b) its cooking has been influenced over the centuries by Mongolian, Chinese, Persian and Greek cultures and then, through the enormous Ottoman empire and its trade routes, many more, including Moroccan and French. It wasn’t until afterwards, when we persuaded Gülcan to translate some of the preceding fast and furious conversation, that we realised just how colourful it had been. An elderly neighbour had come round to lead us in our gözleme-cooking session over the tandır, and, it turned out, she’d spent the entire time hurling insults of the most explicit kind at anyone and everyone, for no apparent reason. Really, it was so rude I can’t write one word of it here. (And there was me thinking she’d been animatedly discussing the fine art of gözleme-making.) Gülcan’s husband Andus reassured us she’d loved it all really, and was even quite emotional at the end, since it was probably the last time she would ever cook over the traditional tandır oven. We’d already heard about the tandır earlier in our Turkish travels – it’s a deep clay-lined hole in the ground in which you build the fire. (We suspect the similarity with the Indian tandoor is not a coincidence.) 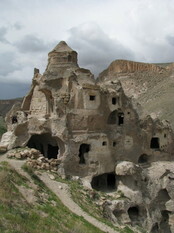 But it was not until we reached Cappadocia that we first saw one. In fact we saw lots – their remains are still clearly visible carved into the floors of the hundreds of cave dwellings dug into the cliffs. Many date back over a thousand years to Byzantine times. We were intrigued – how long had people been living in caves here, how and what did they cook in them, and why would Hatice, our garrulous elderly neighbour, not be using a tandır any more?